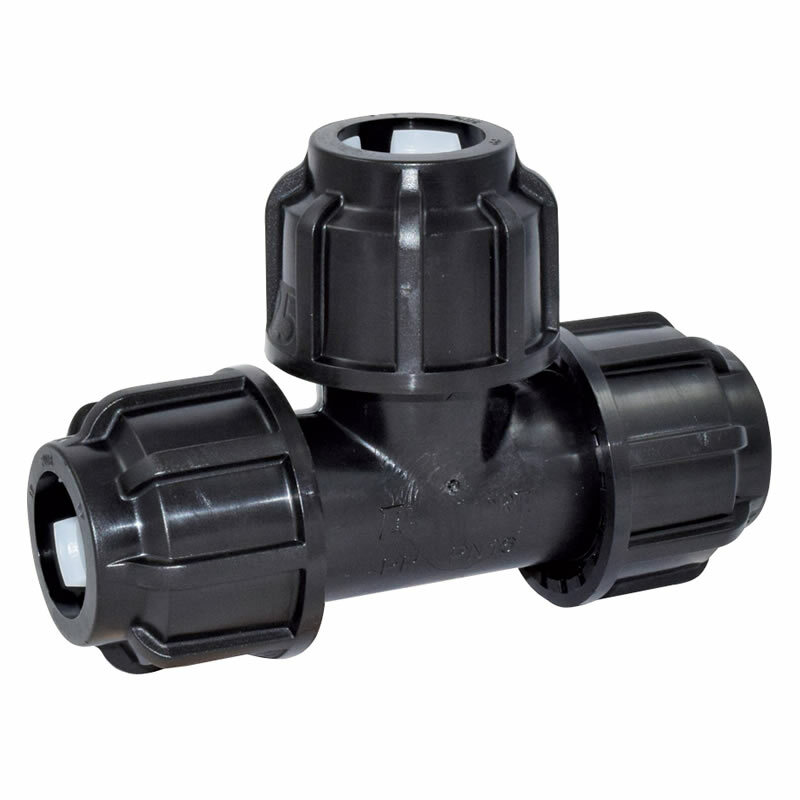 PP compression fitting to connect PE pipes. 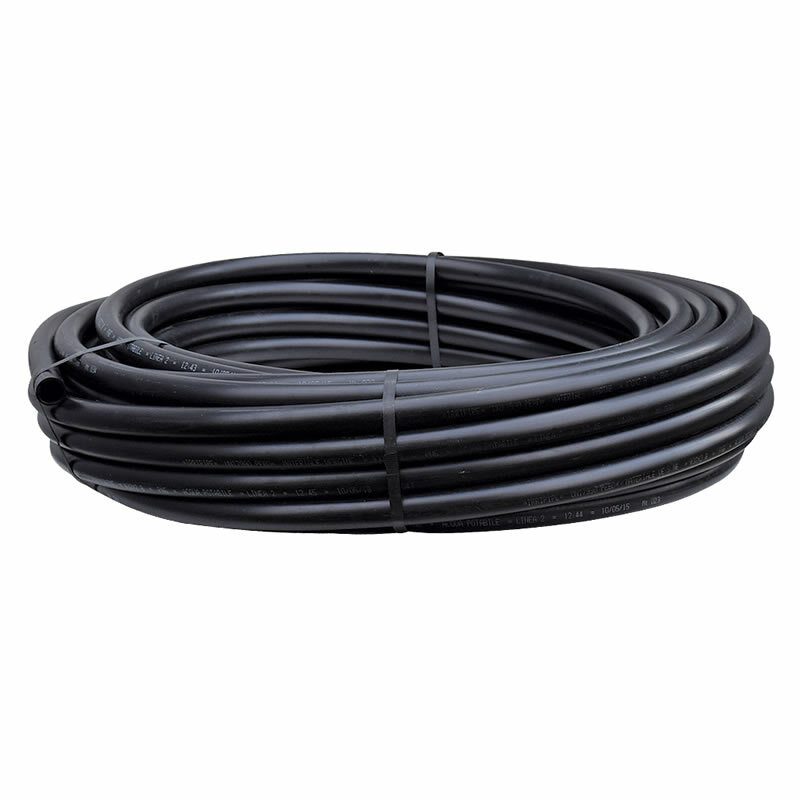 Wiht these PP compression fittings PE pipes with the nominal size of 20, 25 or 32 mm can be connected. 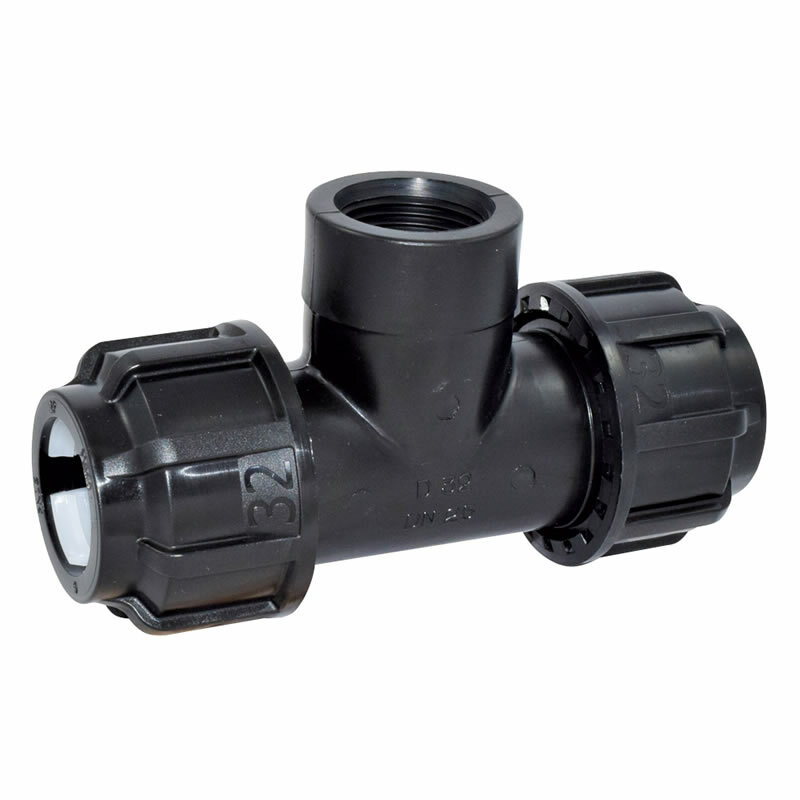 These PP compression fittings have a male adaptor with enables you to connect PE pipes with the nominal size of 20, 25 or 32 mm with pipes of diffrent thread sizes. 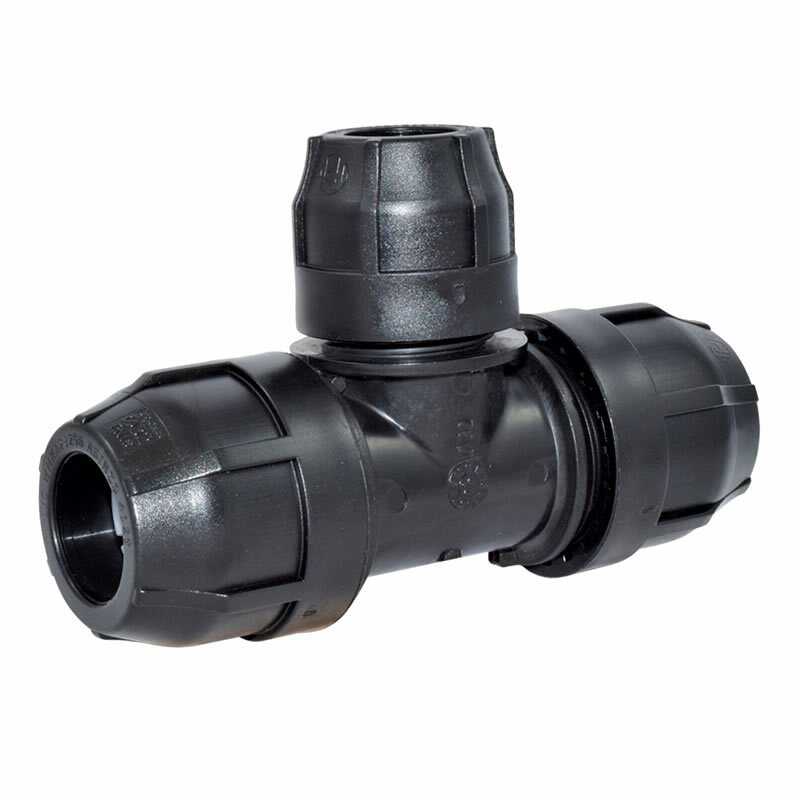 These PP compression fittings have a female adaptor with enables you to connect PE pipes with the nominal size of 20, 25 or 32 mm with pipes of diffrent thread sizes. 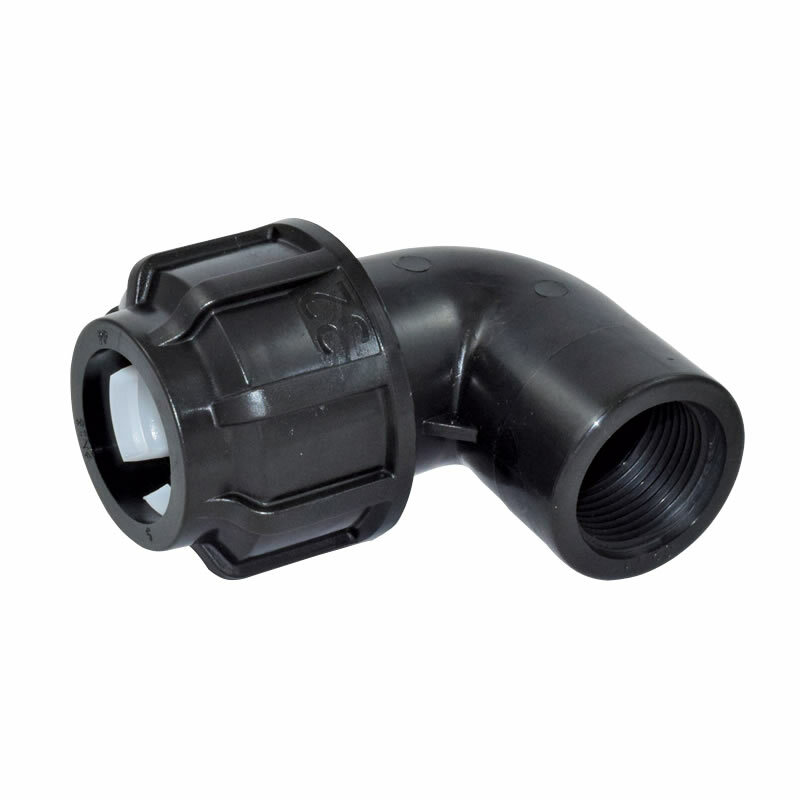 With these PP compression fitting elbows PE pipes with the nominal size of 20, 25 or 32 mm can be connected in a 90° angle. 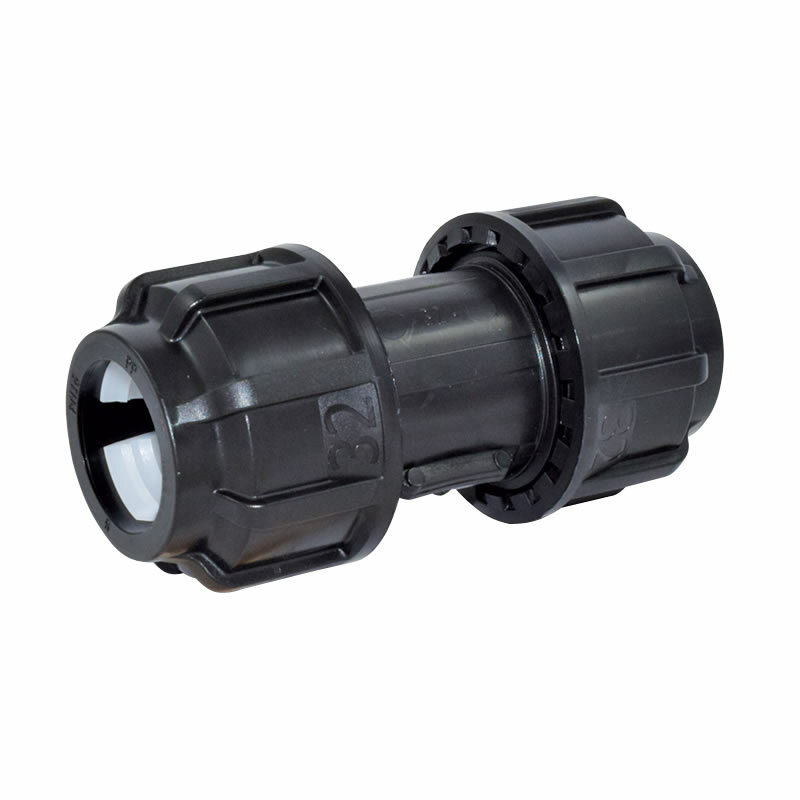 These PP compression fitting male elbows enable you to connect PE pipes with the nominal size of 20, 25 or 32 mm with pipes of diffrent thread sizes in a 90° angle. 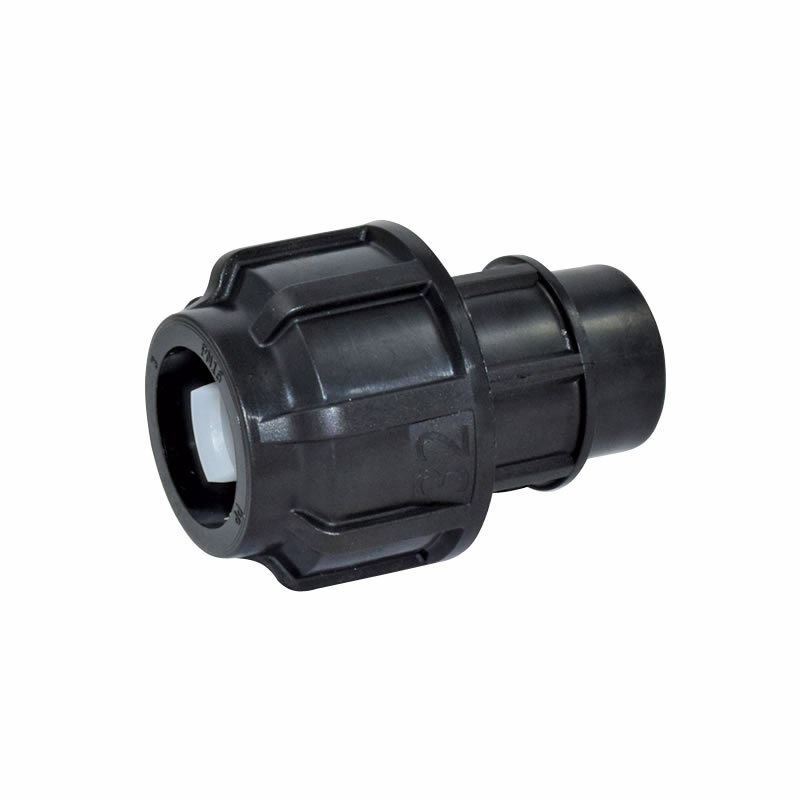 These PP compression fitting female elbows enable you to connect PE pipes with the nominal size of 20, 25 or 32 mm with pipes of diffrent thread sizes in a 90° angle. 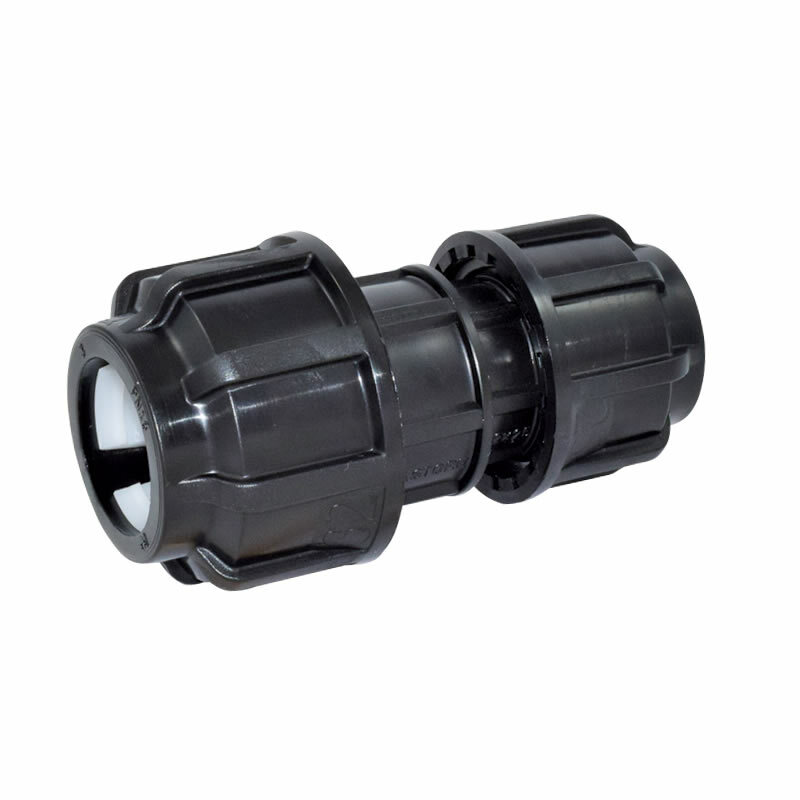 With these PP compression fitting Tees, 3 PE pipes with the nominal size of 20, 25 or 32 mm can be connected. 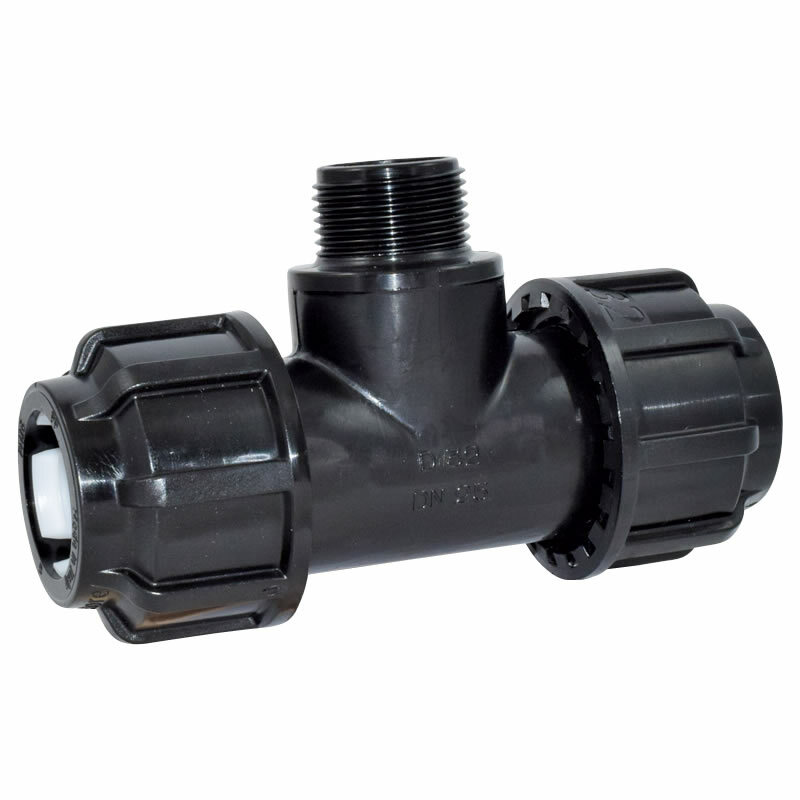 These male Tee PP compression fittings enable you to connect 2 PE pipes with the nominal size of 20, 25 or 32 mm with pipes of diffrent thread sizes in a 90° angle. 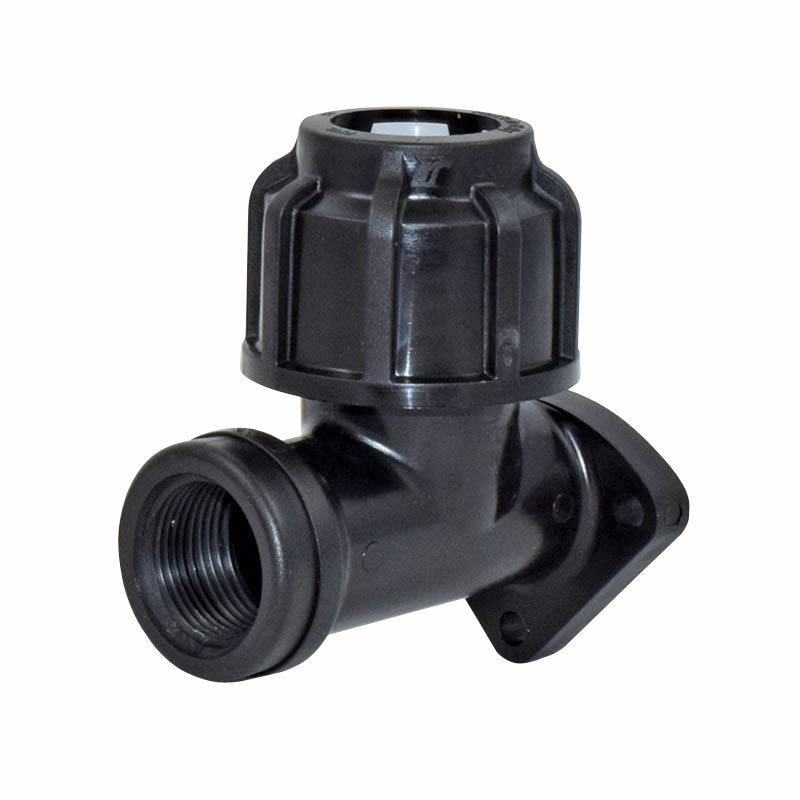 These female Tee PP ceompression fittings enable you to connect 2 PE pipes with the nominal size of 20, 25 or 32 mm with pipes of diffrent thread sizes in a 90° angle. 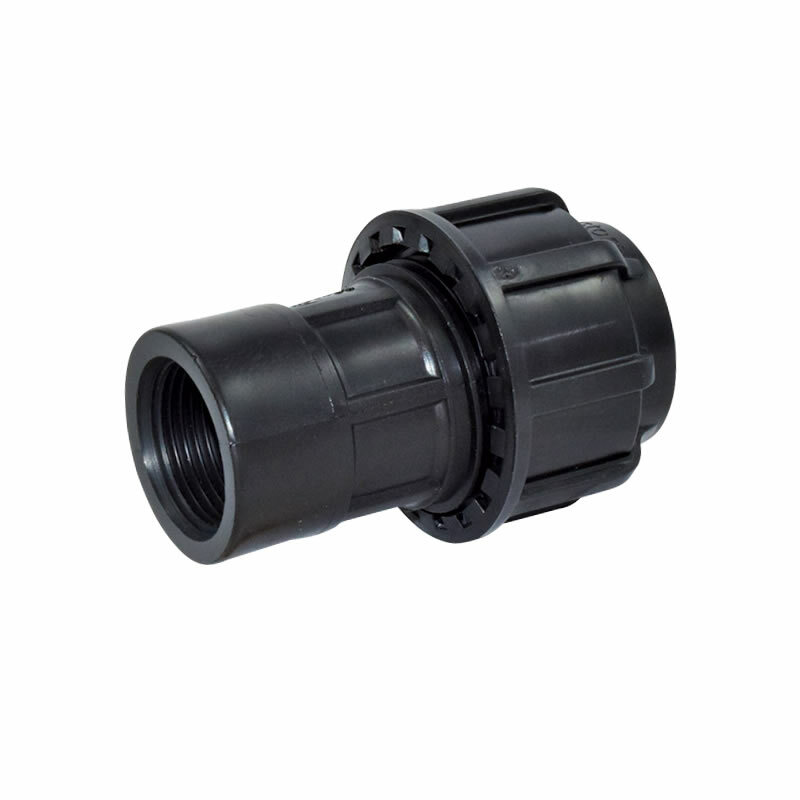 There reducing couplers are used to reduce the nominal size to 20, 25 or 32 mm of diffrent PE pipe sizes. 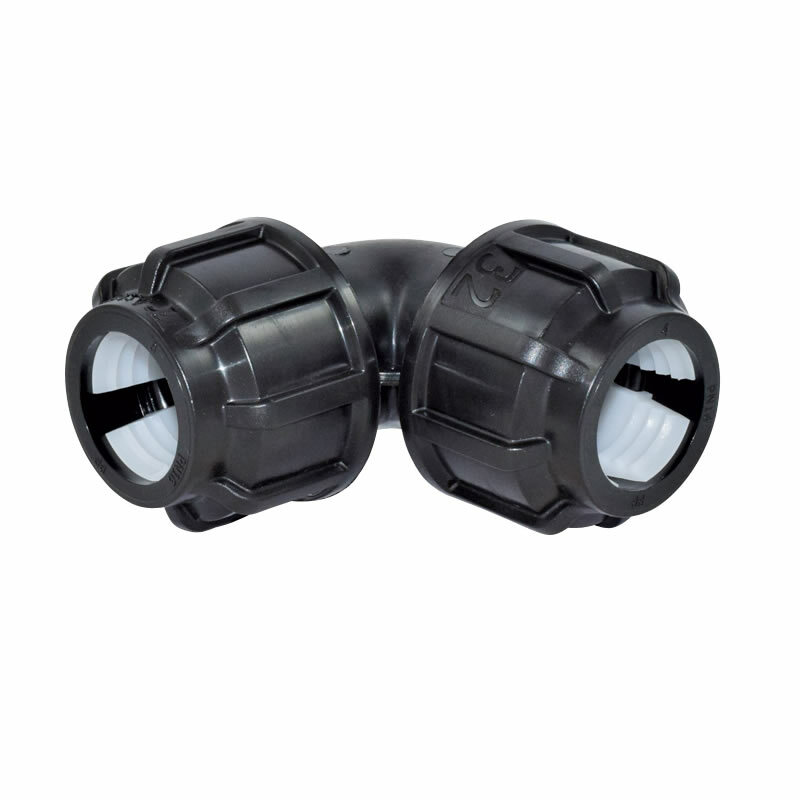 These blind screw PP compression fittings are used to seal open PE pipes with a nominal size of 20, 25 or 32 mm. 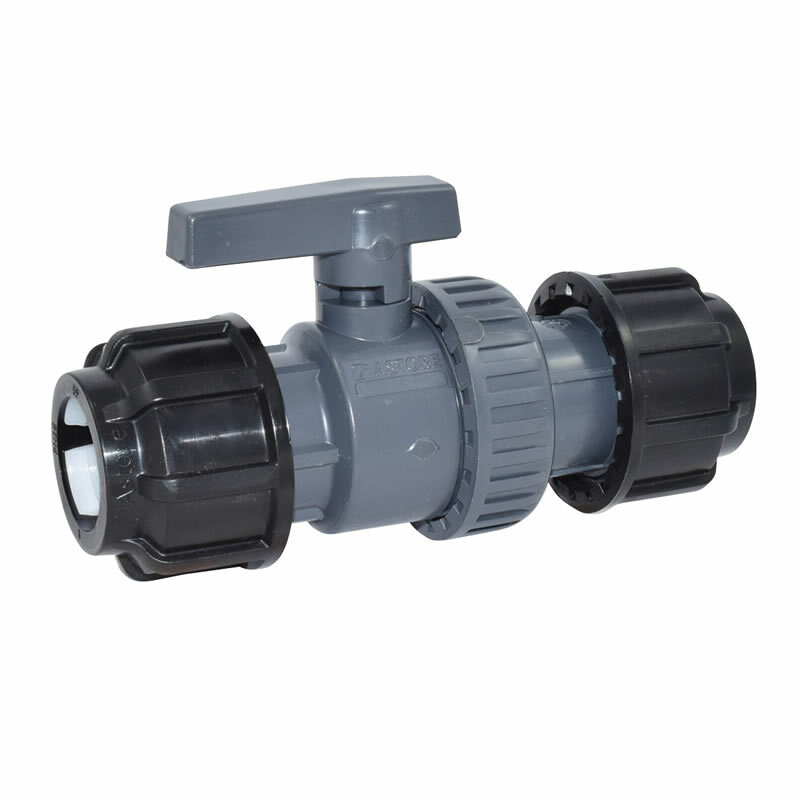 These ball valves can be build into PE pipesystems with a nominal size of 20, 25 or 32 mm. 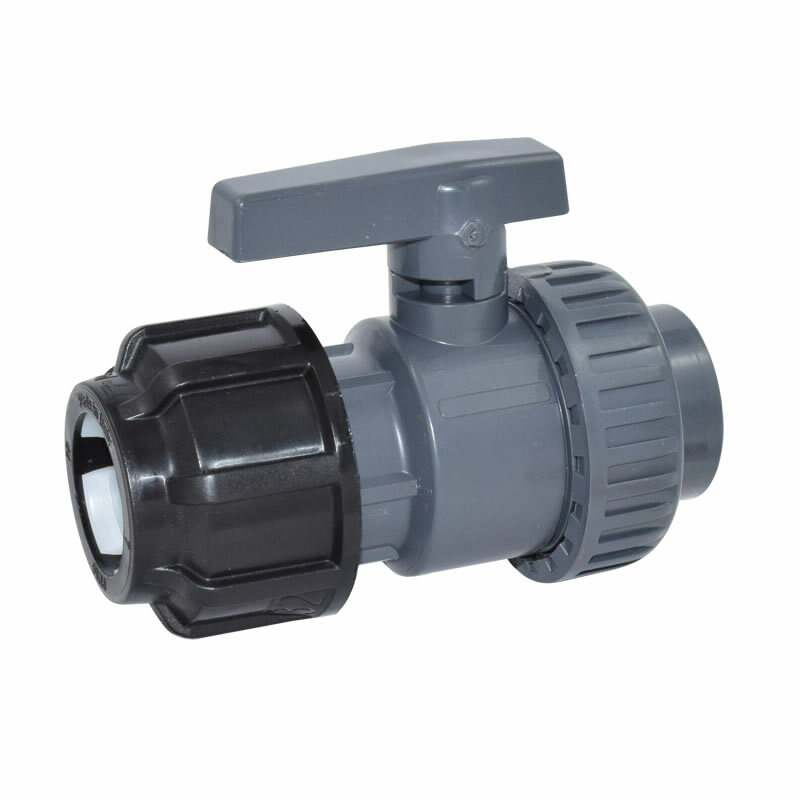 PP ball valve with a female adaptor, G1/2", G3/4" or G1", fitting for PE pipes with a nominal size of 20, 25 or 32 mm. 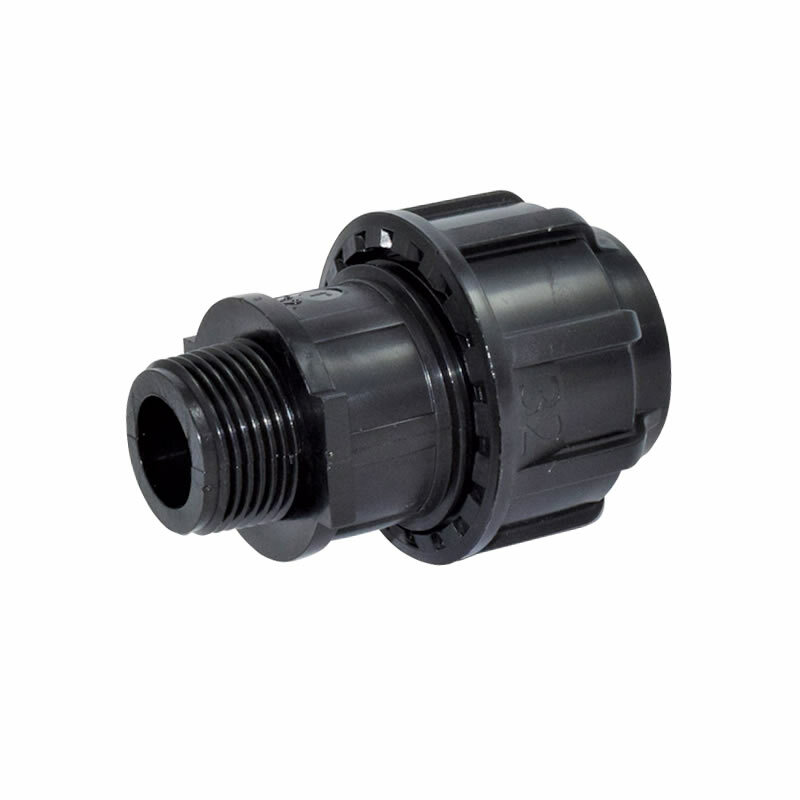 Female wall plate PP compression fitting with an internal thread G 3/4", fitting for PE pipes with a nominal size of 25. The compression fitting can easily be fixed on a wall throught the wall plate at its back. 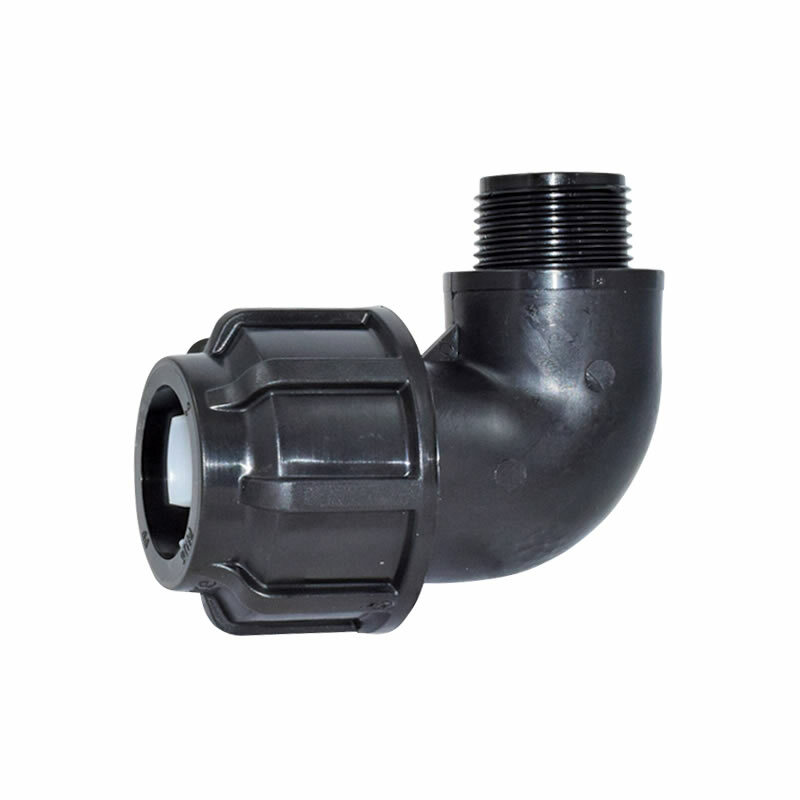 These reducing tee PP compression fittings can be uesd to reduce the nominal size of 2 PE pipes to 20, 25 or 32. 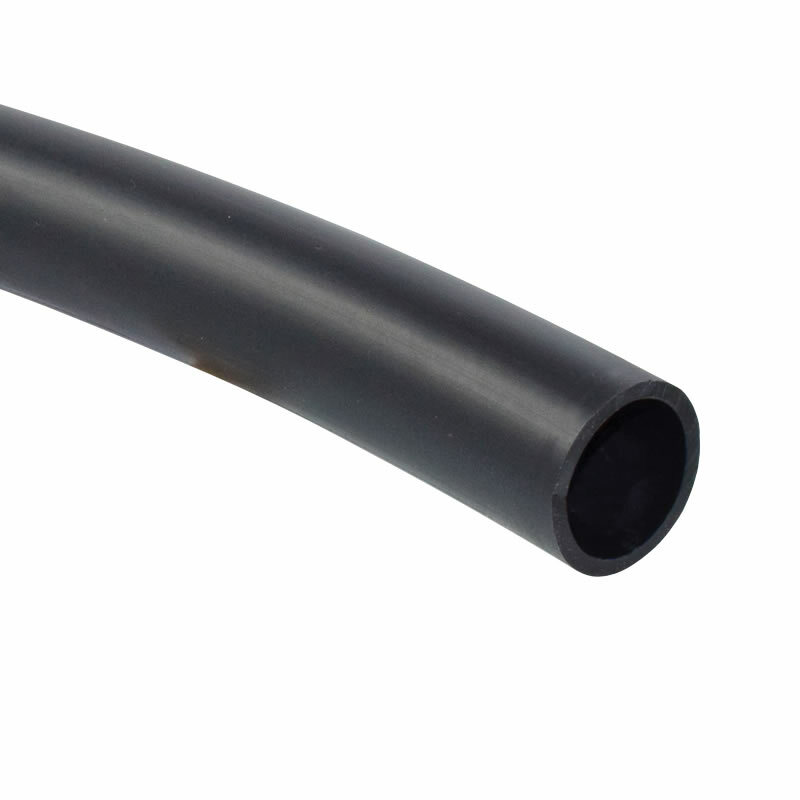 PE pipe with a lenght of 50 or 100 m and a nominal size of 32 mm.